Nana Eikura and Kento Kaku registered their marriage on August 7, 2016. They first met while working together in 2014 TBS drama series "Testimony of N."
way0leto Dec 12 2018 7:06 am In kyou kara ore wa with his blonde hair, he sometimes looks like ft island lee hong ki! ladybear Aug 01 2017 10:04 am still heart broken knowing he's married. TT_TT May you live happy life with your wife and family! dxm Sep 18 2016 3:56 am congratulation for the marriage!! Alya Jan 20 2016 3:35 am Handsome. I don't get why you don't get to be the hero sometimes. 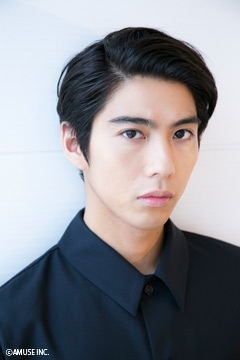 Candice Dec 30 2015 8:22 am OMG.. he has the same birthday as mine ㅋㅋㅋ I like him so much from Asuko March and hope he will make another drama with Emi Takei... they suited each other well in Asuko March and had a good chemistry... can anyone tell me another drama that he plays as a first lead? ladybear Jul 25 2015 9:18 pm I love him ! His acting! I would pick him in Asako March! bcoz his character really capture my heart, >.< Plus he so good looking and great actor too. I wish he got lead role someday, and hoping for more romance comedy drama. Ahh... I wish he can be pair with Emi too. april Jul 18 2015 4:49 am I always adore actors like him who are ikemen yet do not act like one coz they are absolutely adorable and honest! I wish he will keep that up coz that's what makes him so endearing to fans of AMUSE. :) such a sweet, handsome, dork. American Saotome Mar 24 2013 6:16 pm Anyone know if they are going to continue the Ranma drama series? Anita Chow Jan 03 2012 6:32 am Kento Kaku <3! ^_^!! LOVE him as Ranma....aaahhh i hope they make a drama series out of it! i watched it because his in it! !, ahh so hot! ^_~! Anita Chow Aug 17 2011 2:58 pm he is sooo kawaiii and hot!!! i hope he makes more j dramas ^_^! i love his acting just perfect! ada Aug 25 2010 6:58 am he will be on the live action of Paradise kiss..
ria Apr 12 2010 8:04 am i see him at taiyou to umi kyoshitsu,altough he rare appear but i see he soo cute..
FIFA Mar 15 2010 2:12 pm I think the most kawaii students of Yankumi in the movie is Matsushita, played by Jingi Irie. He is the baby-face guy with brown highlights. This is Mochizuki. If I'm not mistaken..